Winner Roger Walkowiak gained the lead by joining a group of 31 riders who escaped in stage 7. He lost the lead (it has been asserted by some that this was intentional) in stage 10 but regained it in the wake of Charly Gaul's stage 18 assault in the Alps. From then on the other challengers seemed to be afraid to challenge Walkowiak for fear of losing the placings they did have. 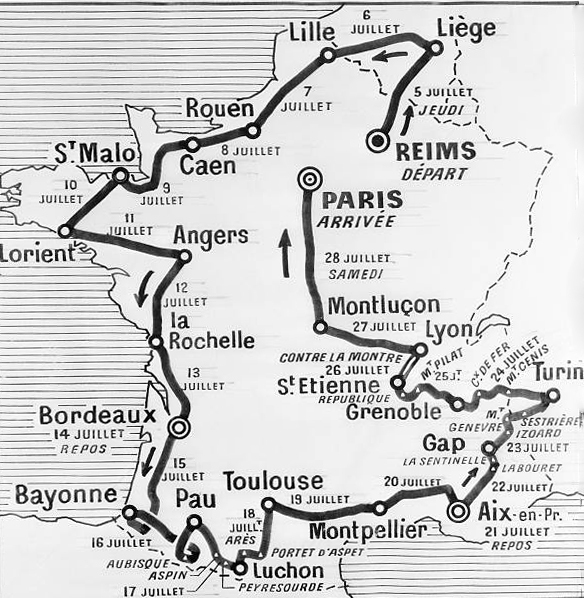 Walkowiak won the 1956 Tour without winning a single stage. Léo Van Der Pluym s.t. 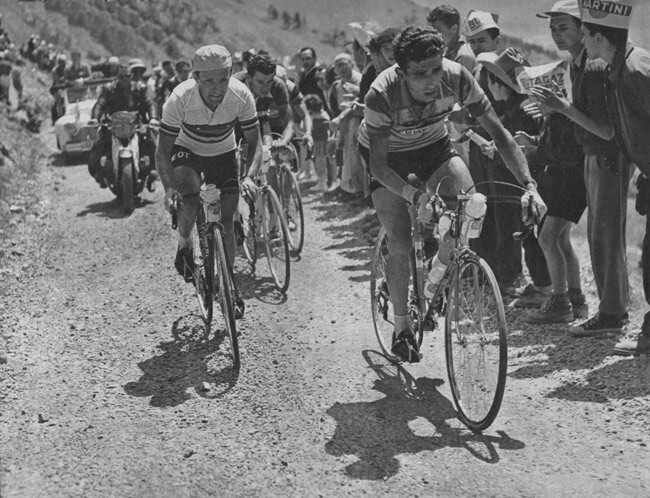 Stage 17: Federico Bahamontes leads Stan Ockers and Roger Walkowiak. 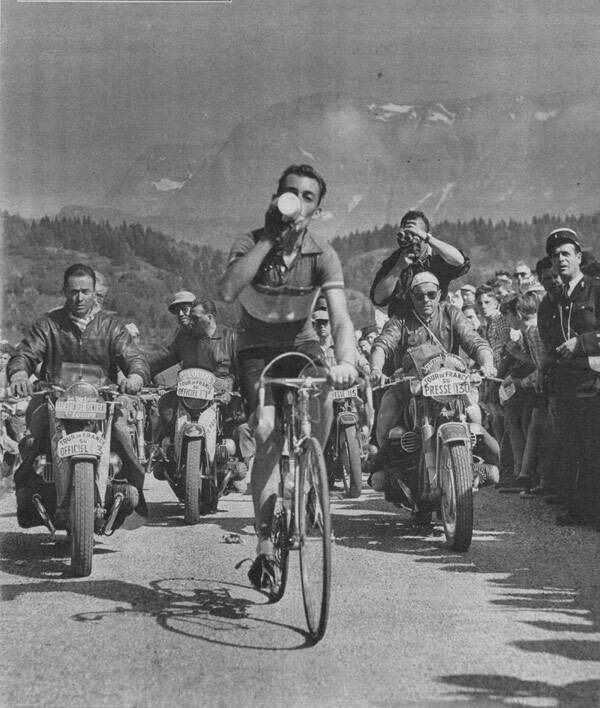 Charly Gaul away on the crest of the Luitel on his way to winning the stage in Grenoble.